whistle-blowers help to keep organizations honest, and considering the size of any government the number of existing whistle-blowers seems relatively small. guess what that means about the governments' honesty. 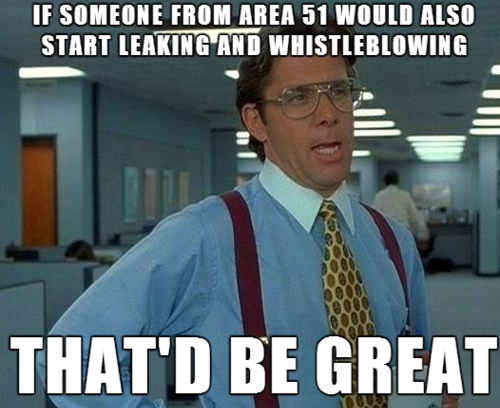 actually, it would be pretty cool if whistle-blowing itself became a meme. what do you say, folks? flying lobsters are the new phish bait? surveillance state - what is that, anyway? what does privacy mean to you?